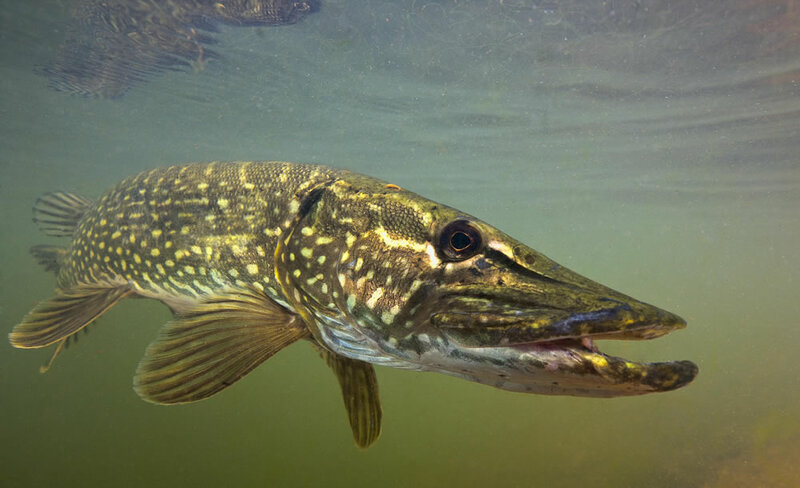 The Northern Pike (Esox Lucius ) is abundant in the waters of Lough Derg. Growing to recorded weights of 40lbs, the average weight anglers would expect to catch would be in the late single figure to the mid doubles - fish above 20lb are also taken on a regular basis. Angling methods vary from static dead-bait to sink and draw, Jerk bait to trolling. In recent years some anglers have targeted the pike with fly rods using large pike flies along the shallower shores of the lake. Lough Derg is noted for the large population of wild brown trout which inhabit its waters. The trout season opens in March and closes at the end of September. The height of the season comes from the end of April to the middle of June during which the large hatches of Mayfly encourage the fish to feed on the fly. Best flies for this time would be various mayfly patterns and also live mayfly which can be dapped when conditions permit. At other times during the season fish can be taken while trolling using Lane Minnow baits ( a favourite with local anglers ) and also with various Rapala baits. 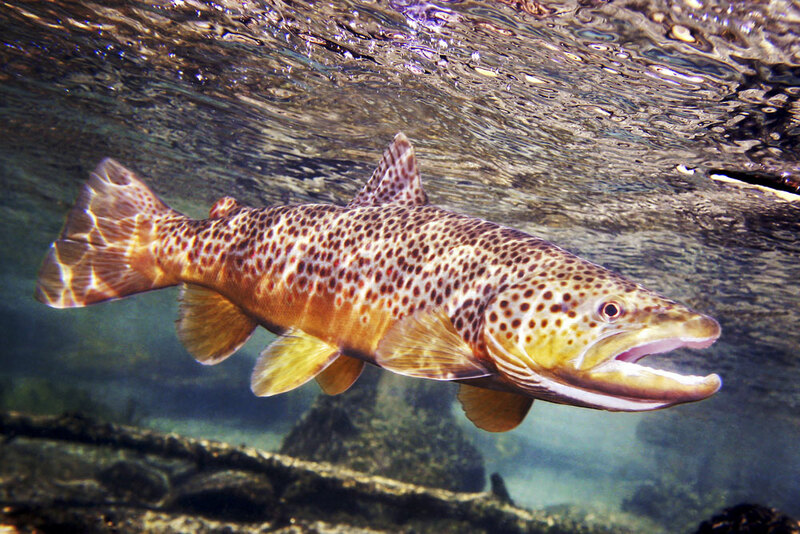 For those seeking the elusive Ferox trout slow deep trolling using dead baits can often yield results. 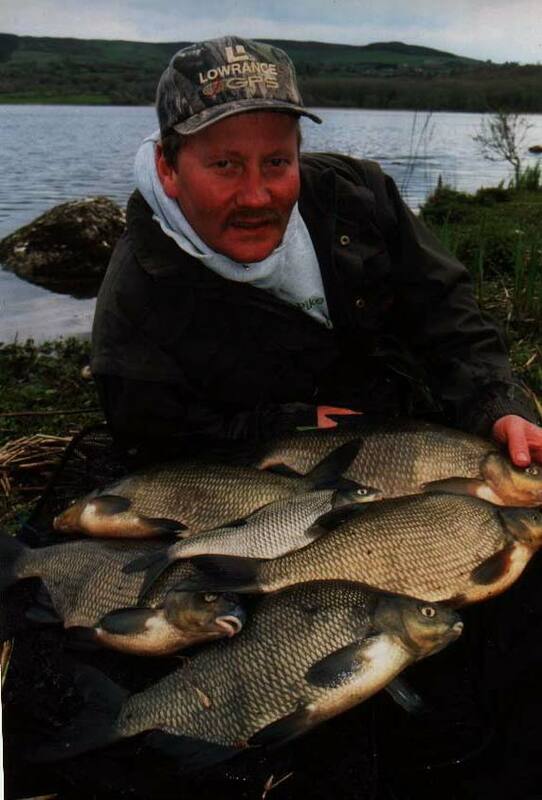 Shoals of bream on the lake can be quite large so anglers should come to the water equipped with enough bait to keep the shoal in front of them when the fish start feeding. Particle baits such as corn, hemp pellet ,and caster are a very popular bait with most anglers. Hook bait usually comprises of various cocktails of maggot, worm, and corn. Red maggot is the favoured colour with white being used now as an added attractant when the fishing gets hard. Brown crumb ground bait is the norm as a base mix, to which various additives can be added. Local favourite additives would be those which are red in colour however this is up to each anglers preference. Worm tipped with red maggot has accounted for many large bags of bream at all venues over the years - Hence this is a bait we feel is a must for the bream. Red sweetcorn is a favourite of the tench anglers for the lakes and will also take some bigger roach. Natural sweetcorn is also good to attract the hybrids and mixed with casters will hold fish in the swim. As already stated these suggestions are just a guide for each angler to build on as they see fit.